Usually, with puzzle games, I can take them or leave them. They’re fun for a short burst; then I prefer to move on to something a bit more action-packed. 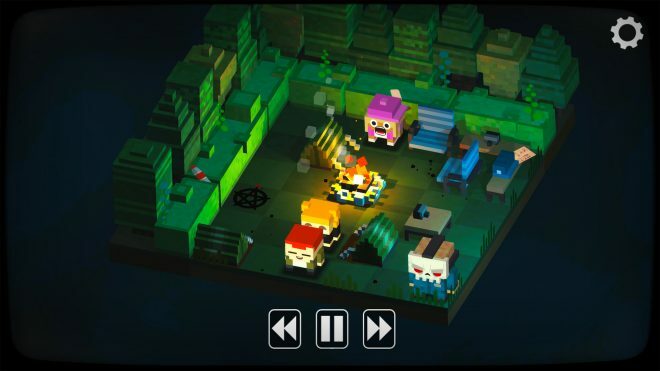 That is until Slayaway Camp came along or if you prefer to use it’s Sunday name: Slayaway Camp: Butcher’s Cut, a killer puzzle game where you control a psychotic slasher on a murder spree. With more blood and gore than most modern shooters, this is far from your average puzzler. Murderlicious – A puzzle game with a bad attitude, gameplay involves sliding the killer around hundreds of isometric puzzle levels to squash, flay, and decapitate hapless victims. The challenge, however, is that the murderer can only move in straight lines and will keep traveling in that line until something stops them, namely the wall or another object such as a strategically placed bookcase or stool. This means that players will need to use specific routes to reach the victim, while avoiding the cops or other traps such as bombs and potholes. Sometimes you’ll even need to scare the victim into more accessible areas or use another victim’s death to switch up your direction of travel. It all sounds simple enough, but in practice requires a decent amount of brain power and some lateral thinking to win each round. 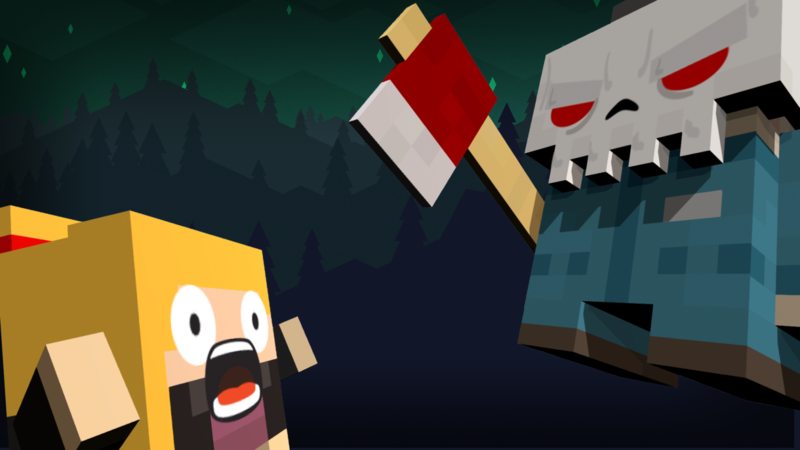 Slasher Fest – Originally a mobile game, Slayaway Camp has been ported to consoles with all additional content added as standard, and to be fair, I had no idea it was a port while playing. The presentation is fantastic, graphics look great, the sound effects and score are on point, and there are no control issues to speak of. The whole game revolves around the B-movie slasher theme and whilst murder may not be the first thing that springs to mind whilst making a light-hearted puzzle game, it manages to be funny whilst staying away from outright bad taste. Each level begins as a VHS tape on your shelf and starting it up gives you a ridiculous but genuinely funny short movie narrated by a incompetent yet amusing voice over. The movie level then consists of 12 puzzle scenes, with some of the best names I’ve come across such as Living Room Lacerations, Cafeteria Calamity, and Mall Cop Manslaughter, that you need to work through culminating in a over-the-top finale sequence. Killing scenes are imaginative and gory with some unfortunate encounters with piranhas, wood chippers, and even a stapler. The dedication to the theme is sheer entertainment and a must for any fans of the genre. Escape Routes – As much as I enjoy a good brain teaser, as with most puzzles games, sometimes you’ll hit a real doozy putting a stop to your merry progress. Not so with Slayaway Camp. The puzzles are still tough, but there’s plenty of ways to get past them. Now, this is probably a hangover from the game’s origins as a mobile game, but since there are no microtransactions in the console version, I’m putting it as a good thing. For 25 coins you can unlock a hint, which is often all you’ll need, but if you need more help, you can have the game actually show you the steps required. This might sound like a cheat, but often the puzzles are so intricate and complex that this walkthrough helps you to understand how the game works, giving you a nice “aha” moment as soon as you see the answer was staring you in the face. Of course, if that sounds a little too easy, you can take the option to skip the level altogether and come back to it later after your brain has taken a well-deserved rest. Rest In Peace – Whilst coins can be earned by beating each level, if you find yourself running out or you need to take a break, you can grind them out in silly yet fun mini-game called Faces of Killed 3 (yep they’re going all the way with the B movie references). It’s basically just a reaction game where you need to stop the moving pointer in the ever decreasing zone. However, I actually found this a great way to chill out after some of the trickier puzzles, even if I didn’t need to any coins. Aside from some achievements on offer, there’s plenty of other reasons to grind the mini-game for coins, such as to buy new skins for your murderer or gore packs which provide new gruesome ways to kill. Not much – With over a 100 levels to murder your way through, it can eventually get a bit repetitive. That said, the game does do a decent job of introducing new mechanics at a constant rate. There were many a time I told myself this would be the last level before packing up for the night, only to spot something new and cool in the next round that I just had to try out. 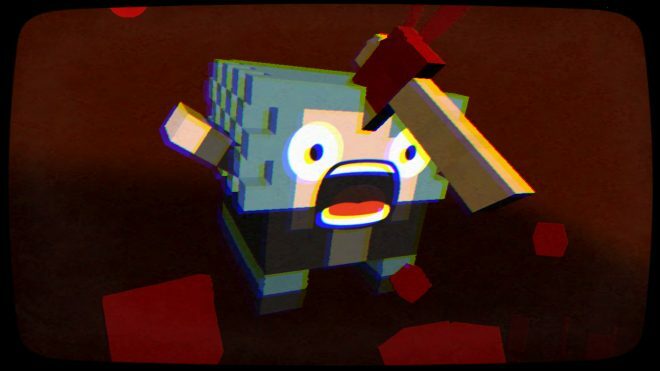 I’m far from a puzzle enthusiast, but I loved my time with Slayaway Camp: Butcher’s Cut. The puzzles are short and addictive, and the ridiculous slasher movie setting really lifted the mood on what can often be a fairly somber game genre. Difficult enough for puzzle fans but equally accessible to everyone else and likely a real eye-opener for those unfamiliar with this type of game. With heaps of content and genuinely fun gameplay, I can’t think of anyone who shouldn’t pick this up. 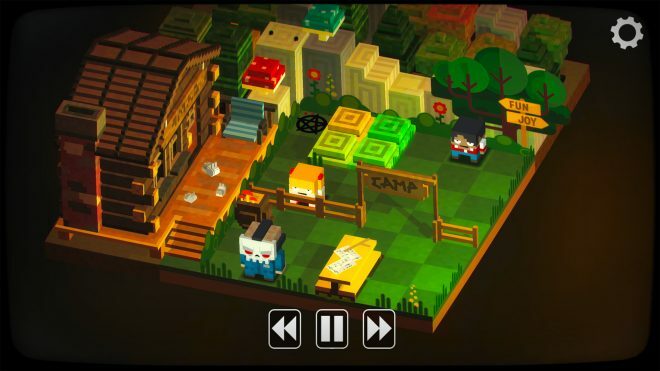 Slayaway Camp: Butchers Cut was developed by Blue Wizard Digital and published by Digerati Distribution. The game released on October 23, 2017, for $16.99. A copy of the game was provided for review purposes.